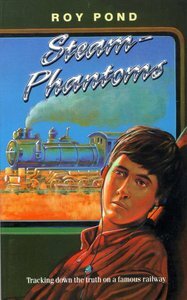 Novel for teenagers in which a boy travelling across the Nullarbor Plain on the TIndian Pacific' enters a time warp. The author's other novels include TSail-Railers' and TPaddle-Ghosts'. About "Steam Phantoms (#03 in Outback Series)"